The period from 1830-1844 marked a low point for the economy of Devon and across that period some 1,500 people sailed to Prince Edward Island from the West Country, the majority choosing Bideford as their point of departure. James Yeo’s 283 ton vessel, British Lady (built in 1836) regularly sailed between Bideford and Charlottetown, carrying lumber for Bideford’s shipbuilders and carpenters (potentially including those on the east bank), and returning with goods and passengers. 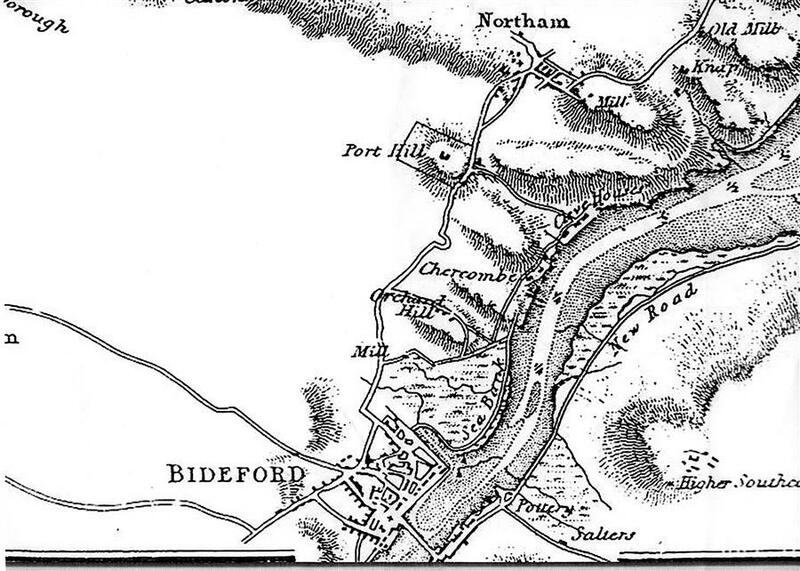 Bideford’s popularity amongst West Country emigrants as a point of departure would continue until the coming of the railway provided easier access to Bristol, Plymouth, and eventually Liverpool. At about the same period, a coastal turnpike from Barnstaple to Bideford, via Instow, was constructed, providing for much easier communication between the two towns (though local tradition links this to the building of the railway embankment, that would not happen until much later).